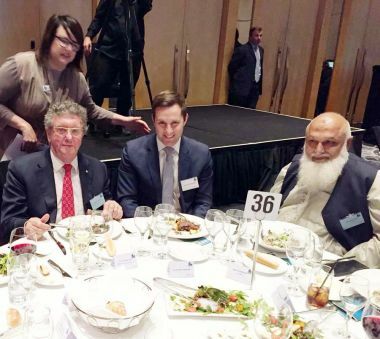 Sydney - MT Times Int'l: The Federal Budget luncheon held at the Sofitel Hotel in Sydney was attended by ministers, senators, MPs and business representatives. The master of ceremonies was the Hon. Philip Ruddock, State President of NSW Liberal Party. 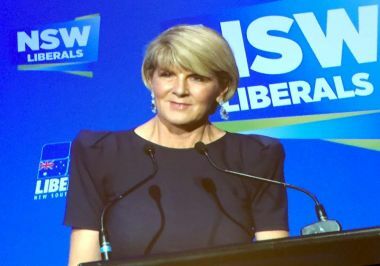 Guest speakers included Julie Bishop (the Minister for Foreign Affairs) and Prime Minister Malcolm Turnbull. The ambassador for Kuwait in Australia H.E. Najeeb Al-Bader was among the attendees and was welcomed by PM Turnbull. Mr Ruddock opened proceedings with a welcome speech. This budget is about strengthening our economy to guarantee that we can deliver for the Australian people. This is not about who is in charge of distributing revenue, this is about who is going to deliver the revenue which will enable you to do more for the people. The budget is about strengthening our economy; it is about providing tax relief and reward for working Australians. It is about backing business to create more jobs; it is about guaranteeing essential services. It is about keeping Australians safe and ensuring that government lives within its means. 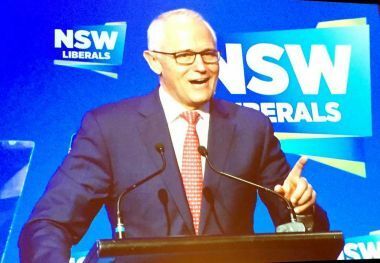 Malcolm Turnbull is a highly successful entrepreneur embracing innovation, new technologies, providing job opportunities for Australians to give them the chance for a better life. That is the life experience that Malcolm Turnbull brings to the role of Prime Minister. He has delivered a responsible budget, true to his vision for strong economic management and strong national security for our people. We delivered a budget that provides opportunities for more jobs that gives businesses the confidence to invest. We’re living within our means as a government; we’re keeping Australia safe. Since we were re-elected in 2016 we have delivered on our promise to strengthen the economy, create jobs and live within our means. Every element of our national economic plan has been quoted by jobs and growth. The result shows that our policies are working; the budget is the next stage of that plan, harnessing the economy’s strong momentum and building a platform for stronger growth and more jobs. It also provides a clear path to continue budget repairs, ensuring that these gains are long lasting and benefit future generations and not just our own. We have legislated $14 billion for budget repair and real growth; spending is the lowest of any government in at least 50 years. That will bring the budget back to balance a year earlier than previously forecast; it will come back into balance (modest to be sure) in 2019-20 then into surplus thereafter. It means we can responsibly afford tax relief; we in the Coalition (Liberals and Nationals) never forget that hard-working families know best how to spend their money, not the government. We recognise that earning money is harder and Australians should be able to keep as much as we can afford while providing the essential services we need. That is why we are backing Australians with personal income tax relief -- to encourage and reward hard working families. Tax relief, too, for businesses so that they invest more and create more jobs. We have record investment in infrastructure to get people home sooner and safer, get our products to market around Australia and around the world. We’re going to cut electricity bills; the energy security board has set out the way in which the national energy guarantee will bring down wholesale prices. Our plan to strengthen the economy means that we have the ability to fund essential services with record funding for hospitals, schools and Medicare. An aged care package in the budget gives older Australians real choice about where they live and for how long they work. We’re going to keep Australians safe whether it is extra security at airports provided for in the budget or the latest capabilities for the defence forces. We have record infrastructure and investment and we are reducing youth unemployment. We’re starting to see what happens when the government’s policies are all pulling in the same direction -- record high business conditions, a rise in consumer confidence and record jobs growth. Lower tax rates make companies more competitive, so do the big three trade dealers who will use our company tax cuts to invest more. When they get a better return on their investment they invest more, they increase production and they share the gains. much harder than others and it is even tougher when you haven’t had much of a pay rise in a long time. So this budget outlines the comprehensive plan for tax relief beginning with lower and middle income earners. From the 2018-19 financial year more than 10 million below- and middle- income earners will get up to $530 in tax relief each year. That is a modest measure because Australians have made it very clear to us that we understand that budget repairers are a priority but it is also affordable because we are living within our means bring the budget back into balance. Stage two of our plan locks in this tax relief for lower and middle income earners and protects middle income Australians from bracket creek. In stage three we will abolish an entire tax bracket ensuring that 94% of taxpayers will never face a marginal tax rate higher than 32½ % -- that means most Australian workers will be able to go through their entire careers without facing the incentive sapping burden of bracket creep. The budget also outlines the most significant infrastructure investment in our nation’s history with $24.5 billion worth of new projects. We are building roads, rail and bridges that link communities, getting people home sooner and safer, making our business more efficient and bust congestion. The budget delivers on our economic plan which is building a strong economy for all Australians.